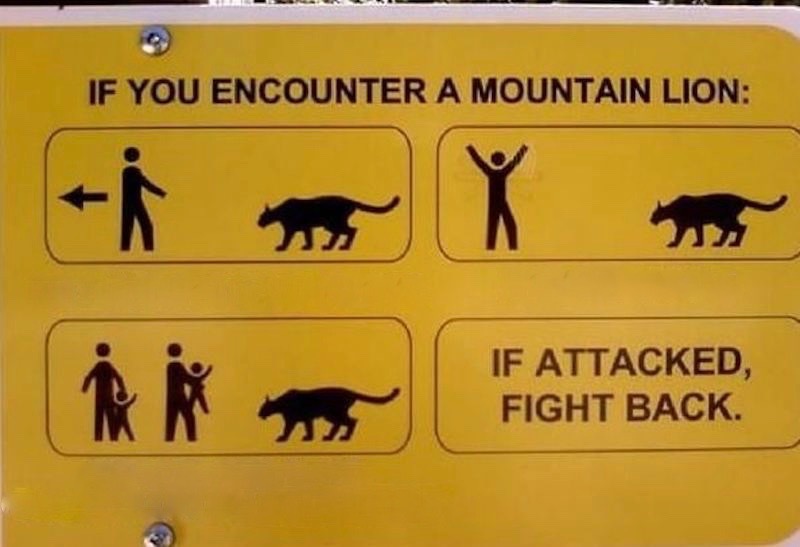 If you have an encounter with a dangerous Mountain Lion, can you identify the things you need to do to survive? This quiz just may save your life. Face lion. Back away slowly. Keep children close. Pick up children without bending.